With the Swans returning to training last week and having completed 4 major signings already, the 2015-2016 season is looking promising as the excitement builds towards the opening league game against current Premier League champions Chelsea at Stamford Bridge on August 8th. We thought it would be a bit of fun for all you Jacks that visit the site to stick your neck out (in true Alan Tate style) and give us your prediction for the season ahead. 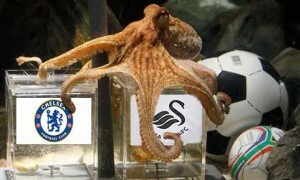 Do you see the Swans grabbing a place in Europe next season or just a comfortable mid-table finish? Perhaps you can see us lifting the FA Cup or maybe you think we’ll have a real stinker and get relegated!